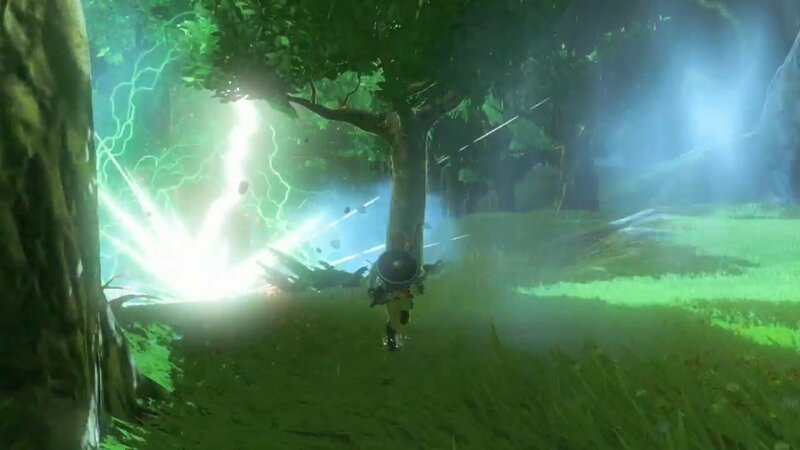 It’s been a long wait, but the Wii U’s first original Zelda game is finally playable. As such, we now know what it’s called, how it looks in action and, most importantly, how it plays. 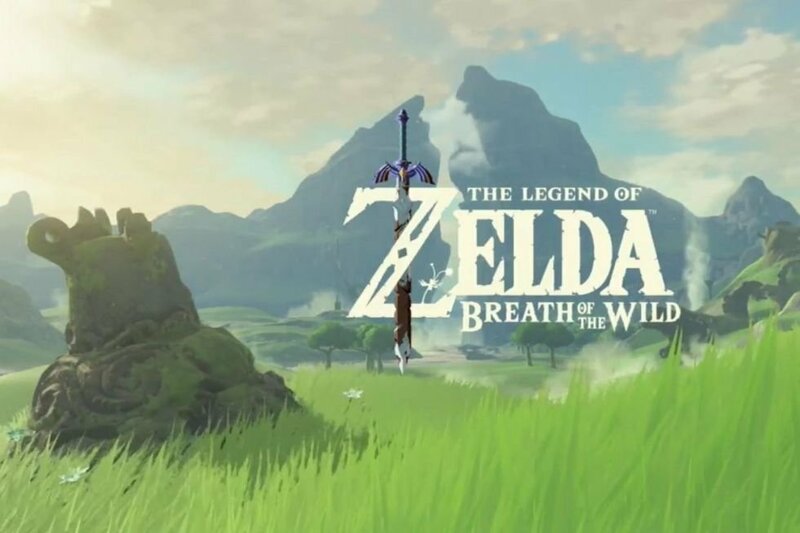 Titled The Legend of Zelda: Breath of the Wild, Nintendo’s only playable game on the E3 2016 show floor is quite a spectacle, and that might not even be a strong enough word for it. From what we’ve seen so far, it’s up there as our game of the show and will definitely be tough to beat. In fact, any contender would have to present us with an unbelievably amazing demo to even come close to topping this sure-fire hit. 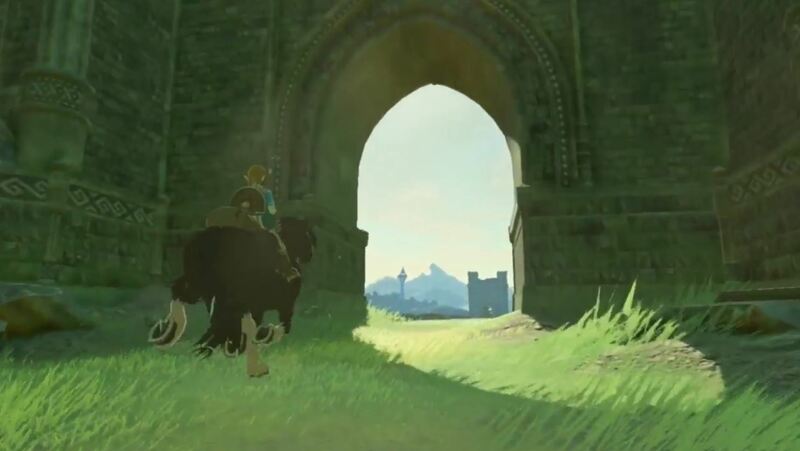 As Nintendo puts it, Breath of the Wild is an open air game, as opposed to an open world experience. 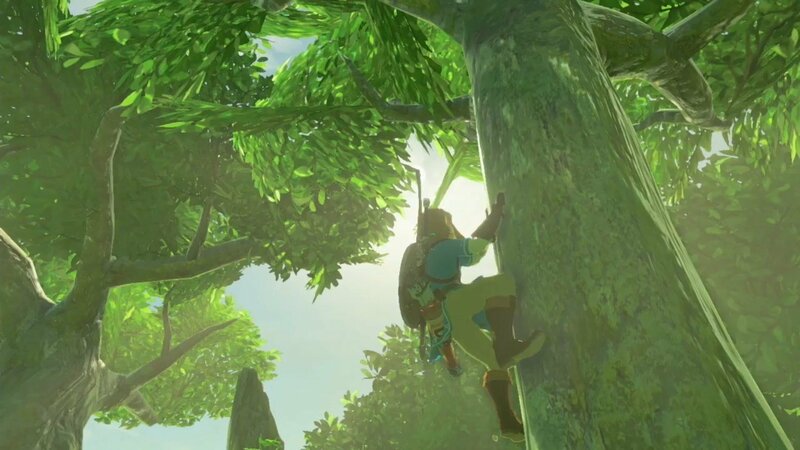 At least, that’s how the developers describe the scope, structure and art design, which sends Link into a natural world wherein he must fend for himself by any means necessary. 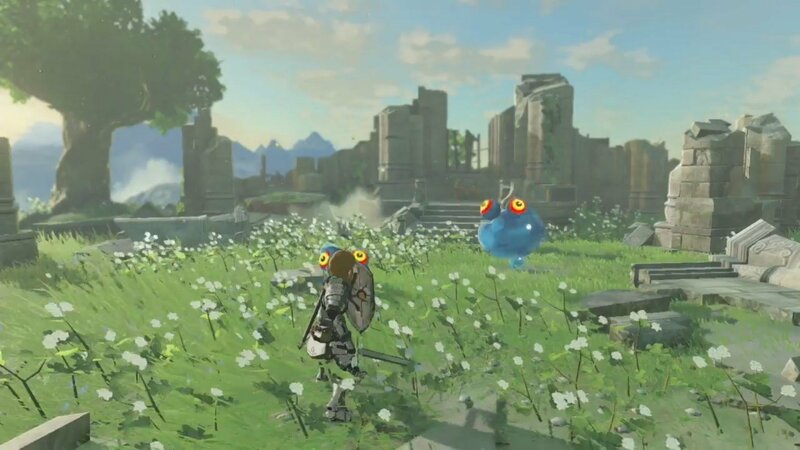 There were two demos made available to us at E3, and I got a chance to go hands-on with both. However, instead of opting to go with the sandbox demo first, I decided to prioritize the story-based one. 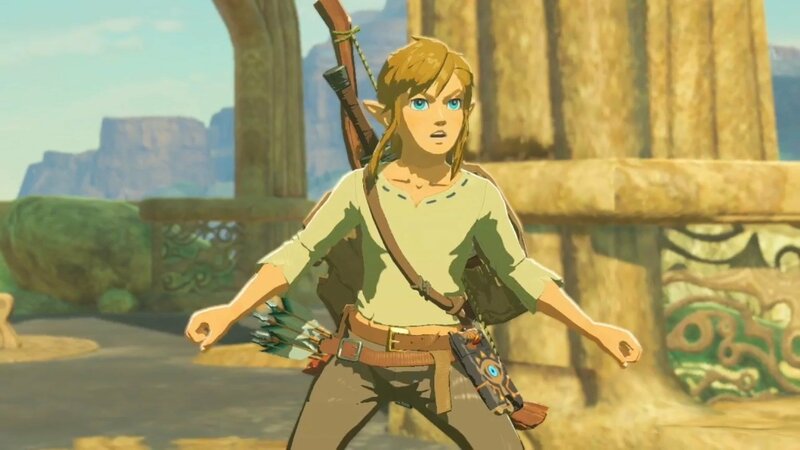 Said campaign demo is comprised of the first twenty or so minutes of the game’s expectedly long story mode, and introduces Link to his new situation. You see, he somehow ends up waking up naked in a cave and must use strange, rock-like glyphs to get out. 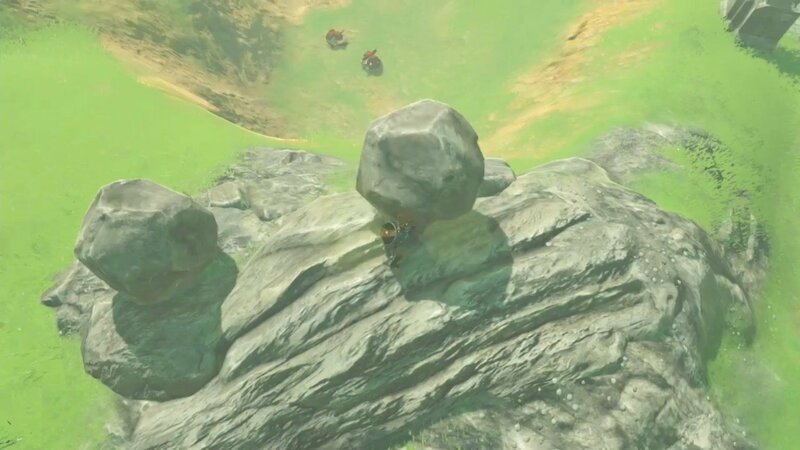 These mechanical wonders seem to be a big part of The Legend of Zelda: Breath of the Wild, but we’ll likely have to wait until the full game is made available to us before we’ll be able to tell you anything specific about them. After exiting his strange slumber cave, our elfish hero finds himself in front of some chests, which house things like clothes and weapons. This introduces a new inventory mechanic, which allows you to easily pick up and swap out your attire and your swords (or even axes). Hell, it’s even possible to carry two different main weapons, which can be cycled between at will. However, it should be mentioned that at least some weapons will break, and that the same is seemingly true of your shield. 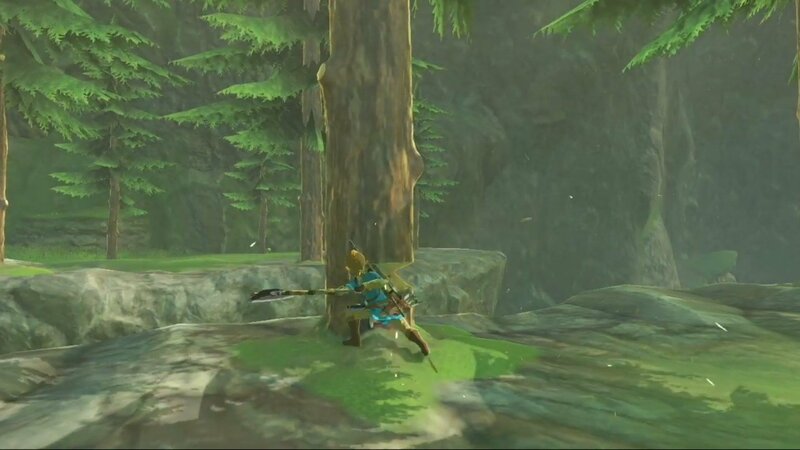 In previous Legend of Zelda games, you’d need to complete quests, search special areas or visit stores to find important items like Link’s iconic bow and arrow. 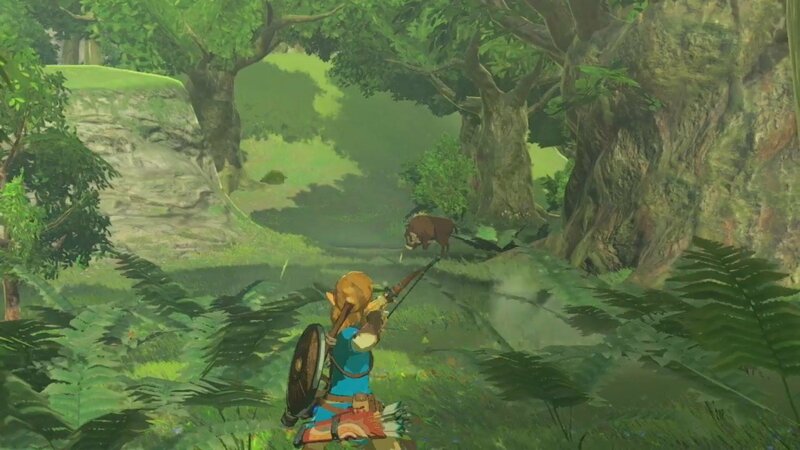 That isn’t the case this time around, as you’re actually able to loot both a bow and its arrows from downed foes, marking a major step towards modernization. 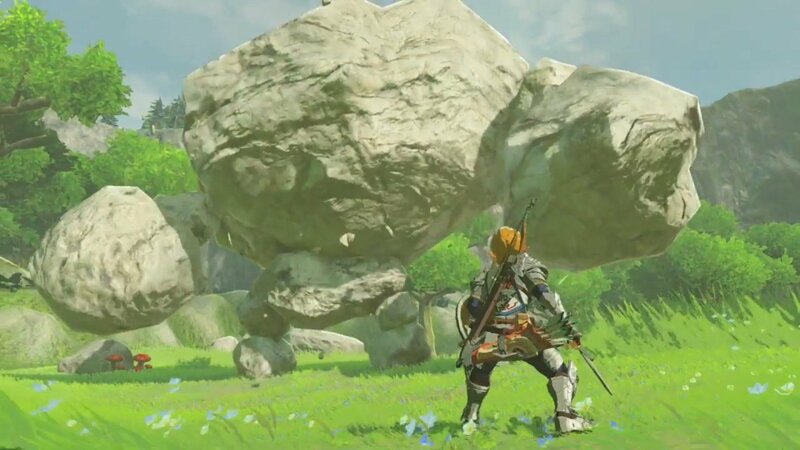 That said, it truly seems as if Nintendo took a lot of inspiration from more modern RPGs like Skyrim when it came time to develop this epic. 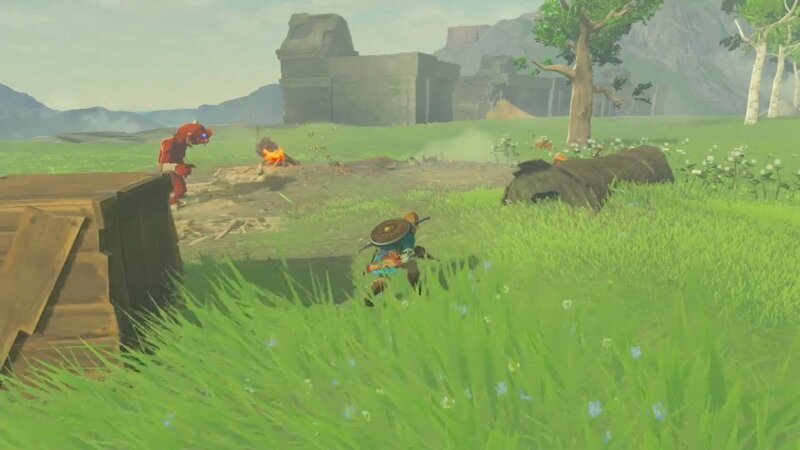 Not only can you loot enemies’ weapons, but you must also forage for food (by fishing, hunting and things like that) and can combine multiple ingredients in order to create health replenishing meals. I didn’t get around to hunting, but my colleague killed a boar that gave him steak, while I physically grabbed fish when I went swimming in nearby ponds. Only a bit of the story demo was actually forced, so I was still able to do a lot of exploring in what was apparently just 2% of the game’s overall landmass. Hearing that number was staggering, though, because it’s not like we were dropped into a tiny area. 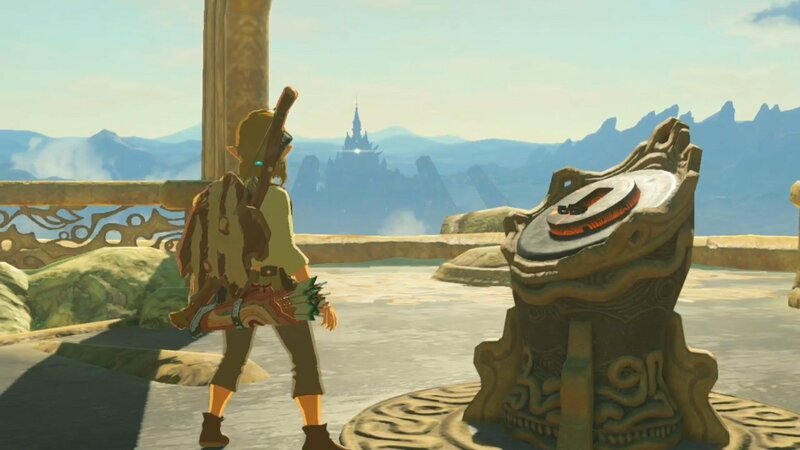 There was lots to see, tons to do and more than one shrine was available for exploration, including one that housed a magnetization gloves trial. 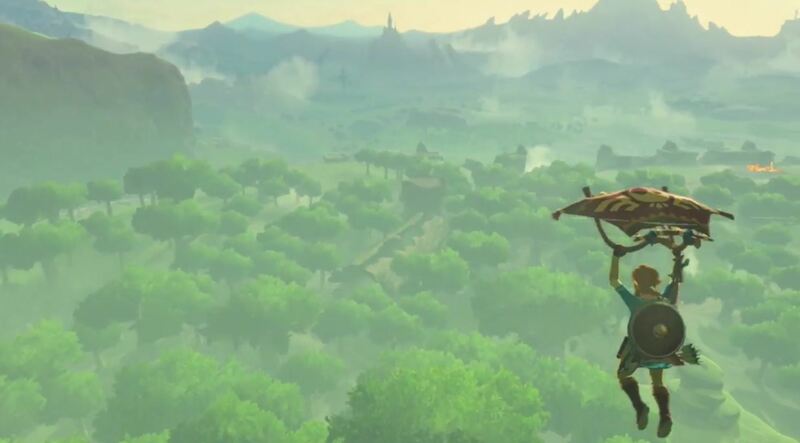 Plus, off in the distance, we could see a giant volcano and other badass-looking locations. 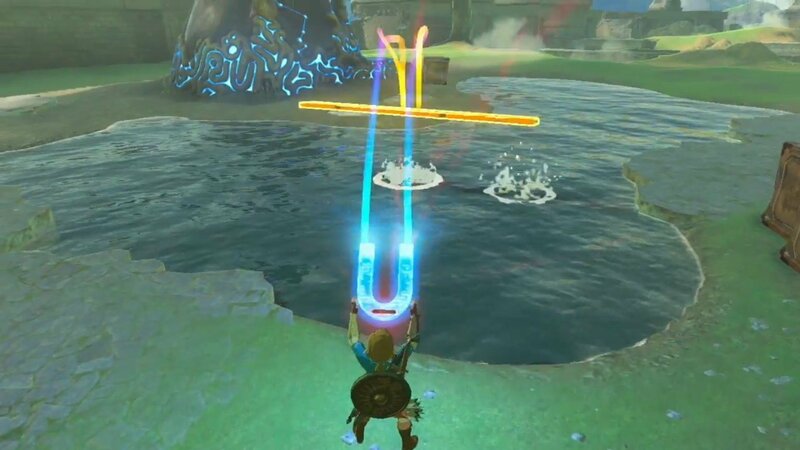 On the combat side of things, refinement was noticeable, and it was nice to see that they went back to regular, button-based combat instead of going forward with the WiiMote Plus sword-fighting from Skyward Sword. That part was never much fun for me, but I like what they’ve changed it to, and am specifically impressed by how stealth now factors into enemy encounters. You’ll have a noise meter/indicator, which tells you if you’re being loud, and you can use that to your advantage whenever you’d like to try to sneak up on enemies. On top of that, getting a headshot with your bow and arrow will cause extra damage, which is increased if said arrow is on fire. 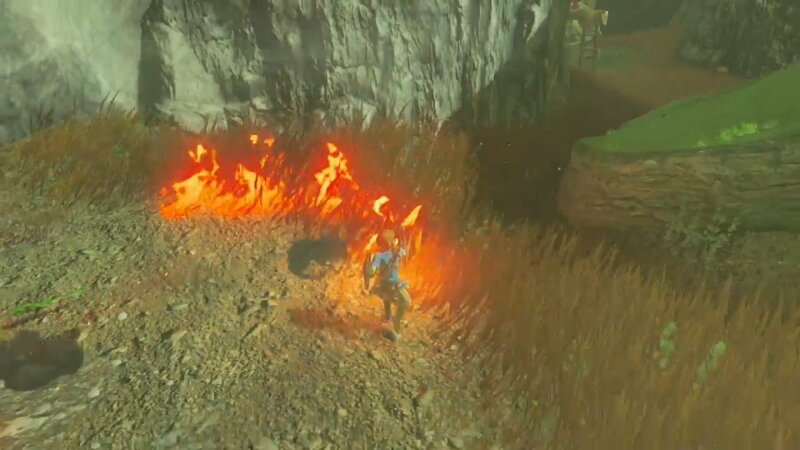 Fire is an integral part of The Legend of Zelda: Breath of the Wild, and its main use lies outside of combat. After all, you can’t really cook in the wilderness without it and will need to light the kindling under your pot before you throw in any recipe’s ingredients. Don’t make the same mistake that I did, though, and drop your steak and mushroom onto the ground beside your fire, because it will cause the vegetable to disappear and the piece of meat to overcook. Both dropped so close to the pit that they caught on fire with reckless abandon and got a bit too much heat. As far as the second demo goes, it was pretty much just more of the same without any restrictions. If you wanted to climb rocks or cut grass, you could spend your time doing that, or you could hunt and cook to your heart’s desire. 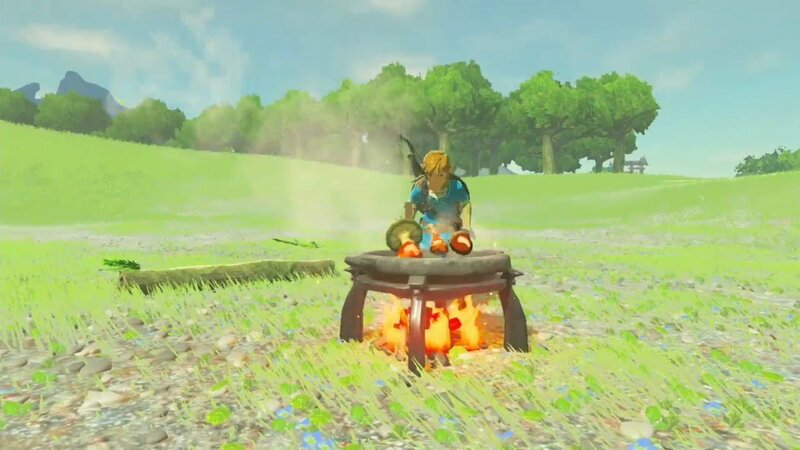 Nintendo gave us food to combine and let us see the animations that came with selecting food, cooking and then grabbing the sustenance before eating it. It’s all much more polished than what you’ve seen in Skyrim. 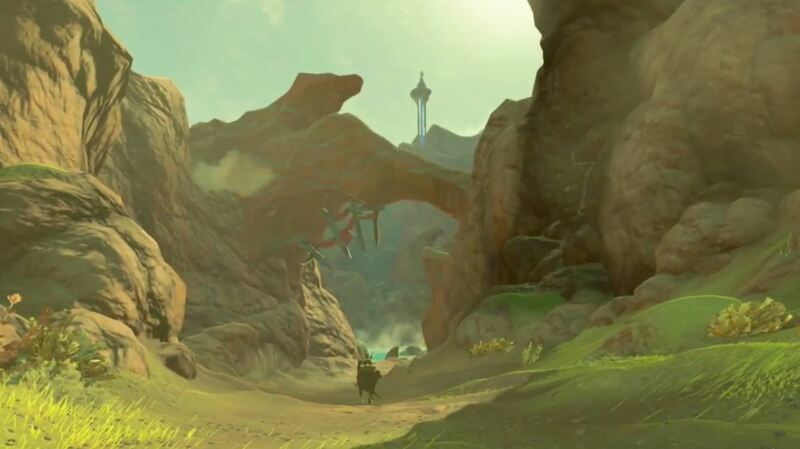 Both experiences were stunning, too, thanks to a colourful mix of Cel-shaded and watercolour art styles that fits Zelda very well. The world feels alive, its draw distances are majestic and there’s no mistaking it for being any other game. 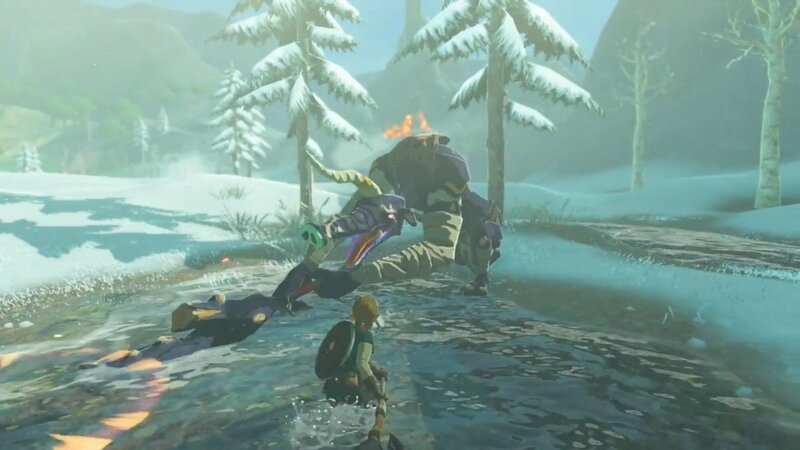 Plus, Link has that boyish charm to him that a lot of people love and is able to surf on his shield when he’s looking for fun. 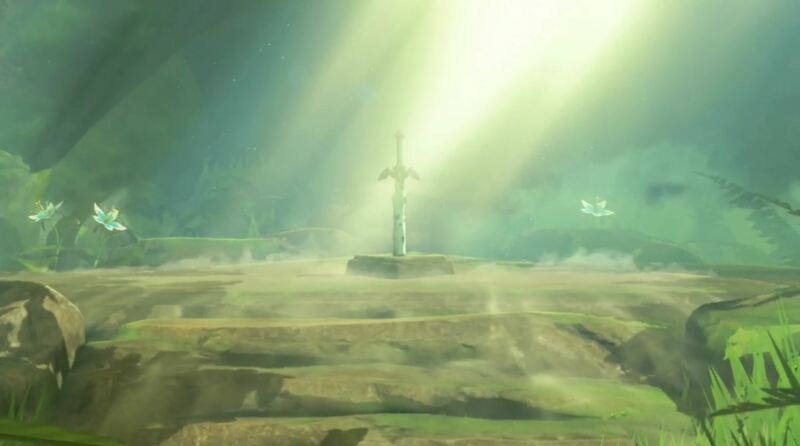 And, if it looks this good on Wii U, imagine how beautiful it could potentially be on the NX. 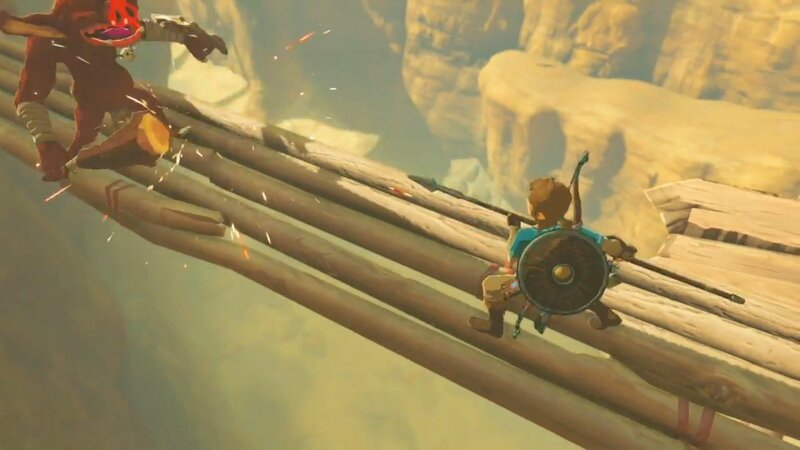 I know that it’s still a bit too early to call one’s game of show, given that two floor days and lots of demoing remain, but I already feel confident in saying that The Legend of Zelda: Breath of the Wild won’t be beat this year. 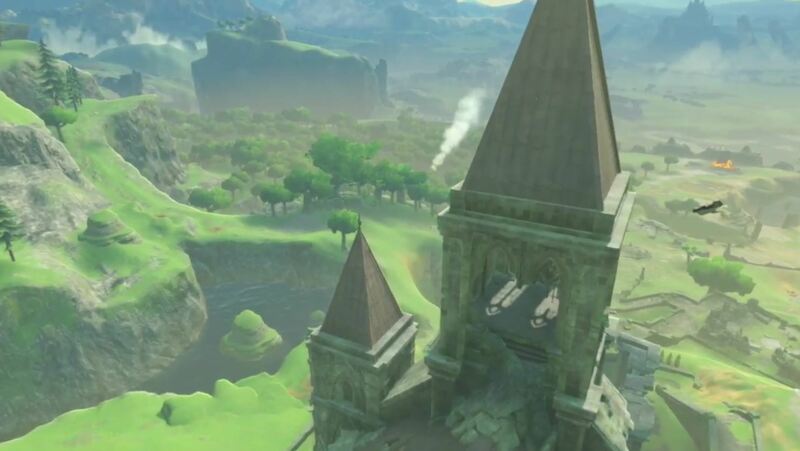 Not only is it amazing to play, but it’s also beautiful to look at and just damn impressive overall, leaving us eager with anticipation to get our hands on the full thing.